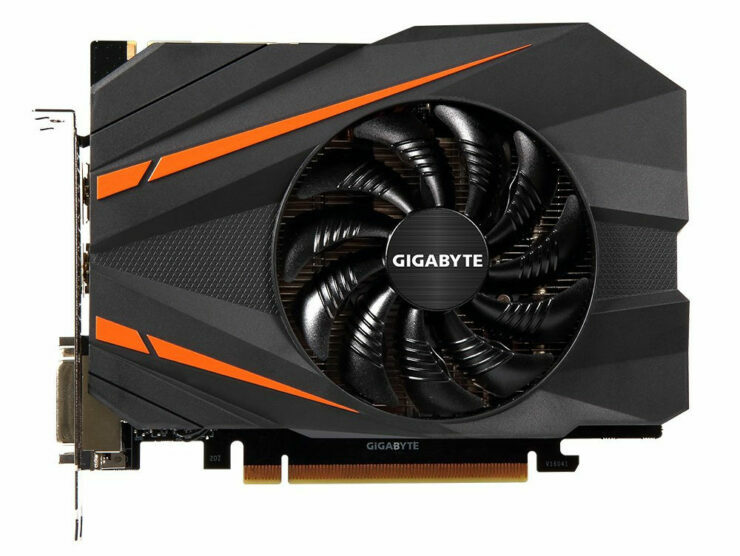 Gigabyte has announced their latest GeForce GTX 1070 Mini ITX OC which is the first small form factor graphics card based on the NVIDIA Pascal architecture. The GeForce GTX 1070 Mini ITX is not any regular 1070, it comes with a factory overclock and a design that will be compatible with SFF and compact PCs to allow better gaming performance. The last NVIDIA high-performance GPU to feature a Mini-ITX design was the GeForce GTX 970 which received several custom designs from board partners. Last year, AMD launched their Radeon R9 Nano which dominated the SFF gaming market with a Mini ITX compact design and a price of $649 US. Today, Gigabyte has announced the fastest Mini ITX solution on the planet, the GeForce GTX 1070 Mini ITX OC which is not only faster than the Nano but also more power efficient. The Gigabyte GeForce GTX 1070 Mini ITX OC comes with 1920 CUDA Cores, 144 TMUs and 64 ROPs. 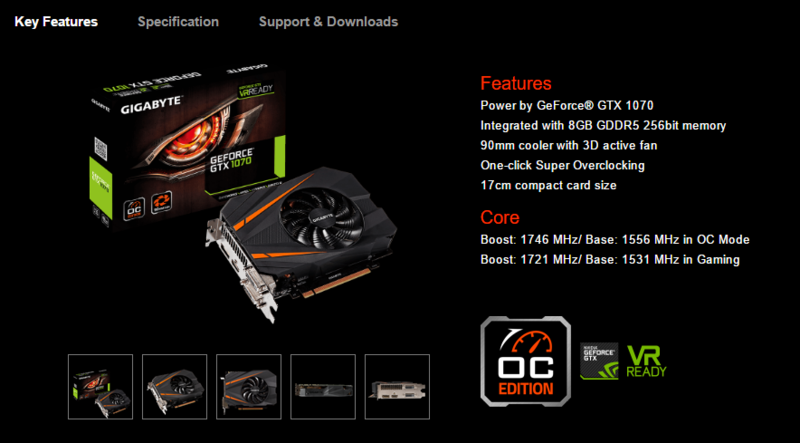 The card is equipped with 8 GB GDDR5 memory which is clocked at 8 GHz effective clocks. This results in a total bandwidth of 256 GB/s along a 256-bit bus interface. The card features clock speeds of 1531/1721 MHz in Gaming Mode and 1556/1746 MHz OC mode. There’s additional room for overclocking since the card packs a custom PCB that houses a 5+1 Phase PWM supply. The card measures in at 6.5 inch which is half an inch bigger than Nano’s 6 inch PCB. Both cards are aimed at the Mini ITX market. 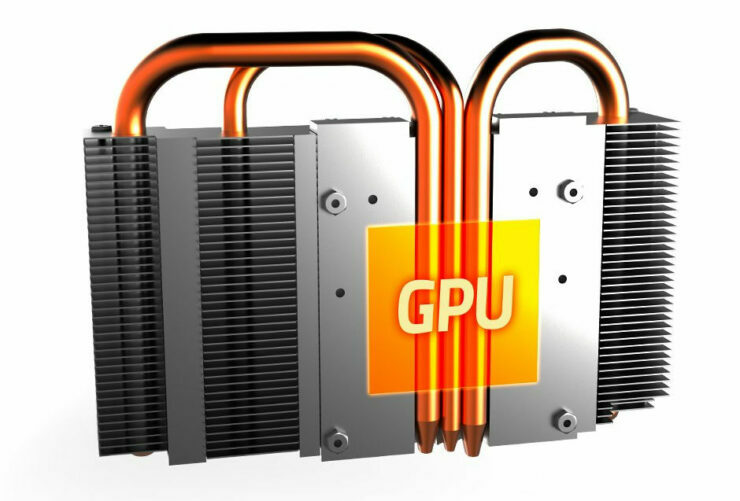 The card is cooled off by a aluminum fin array block equipped with three heatpipes that make direct contact with the GP104 GPU core. 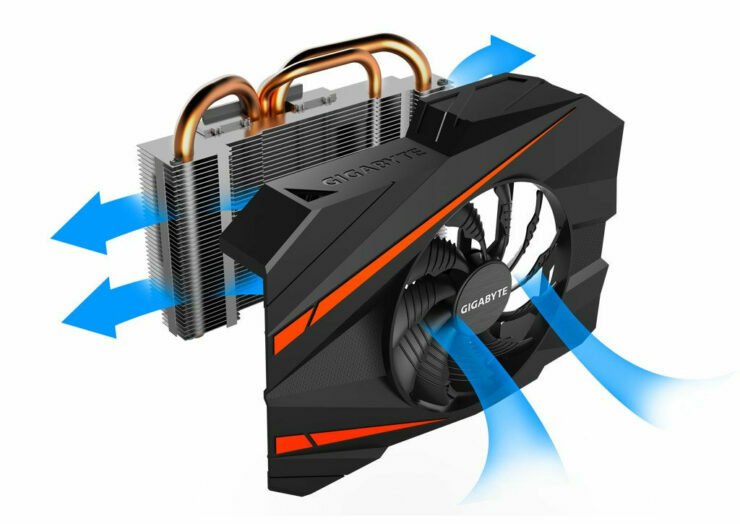 A single 90mm fan with WindForce design pushes cool air to the center of the board. 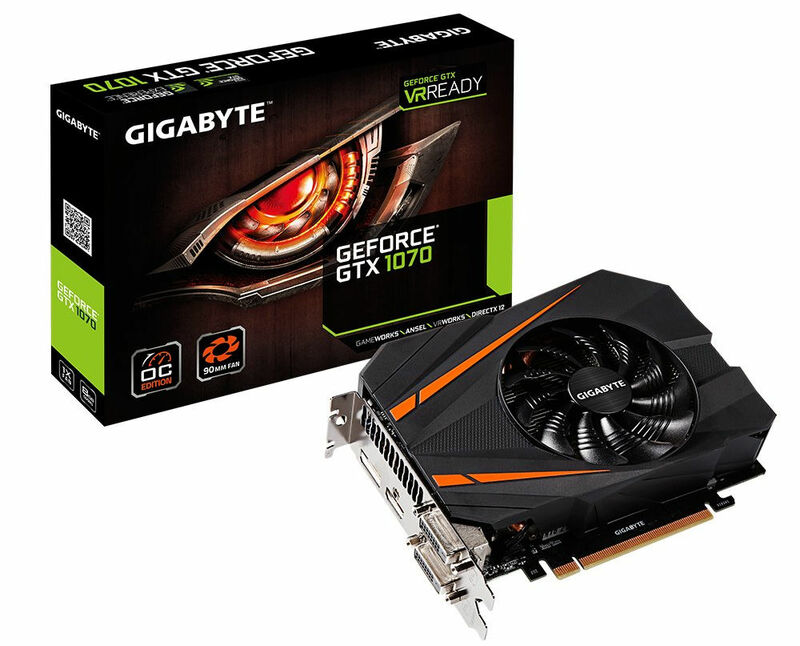 Gigabyte GeForce GTX 1070 Mini ITX OC is a dual slot card that features dual DVI, single DVI 1.4 and HDMI 2.0b ports. The card is fully VR compliant and can provide high-end gaming performance in AAA titles and VR enabled games. The GTX 1070 Mini ITX OC features a neat heatsink design with single fan WindForce cooling. As for price, the card is expected to be priced close to $400 US while the lowest price you can grab the R9 Nano from Newegg is $490 US. The GP104 GPU core delivers better performance per watt figures than AMD’s Fiji GPU architecture and Nano’s 175W TDP figure is still higher compared to 150W on the GTX 1070. 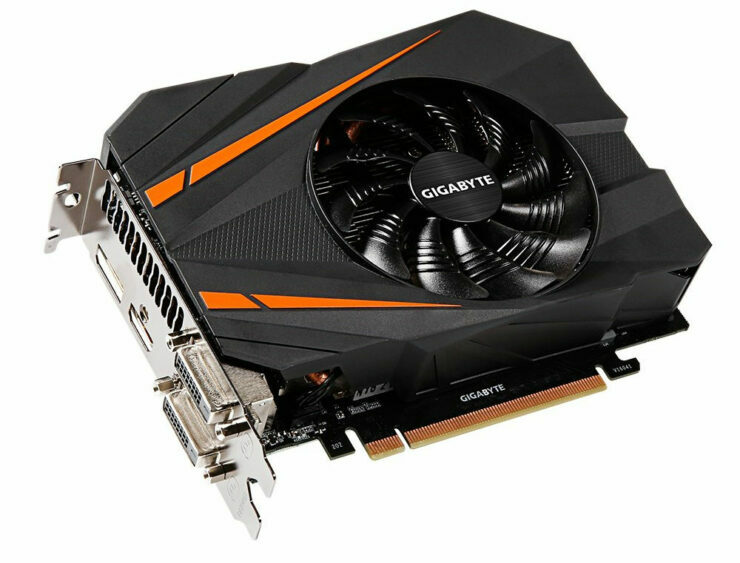 Gigabyte’s solution is also powered by a single 8-Pin connector which is enough to feed the card and overclock it up to 2 GHz which is the standard overclock frequency you can expect to hit on NVIDIA’s GP104 GPU cores. The graphics card will be hitting the market shortly so we will keep you update for sure.